IMOGEN HEAP, it is important to note, is not a songwriter, she is a composer. As such, she inhabits a world somewhere between female fronted groups such as GOLDFRAPP or FLORENCE & THE MACHINE (who would kill to have Heap’s musical chops) and LAURIE ANDERSON and because of the challenging nature of her work, she isn’t as big as she should be. This is clearly demonstrated with ‘Sparks’, her first album in five years. This has been a work which has had a very public gestation with various tracks released as singles over the past two and a half years. This is a very Heap approach, one that she started with 2009’s ‘Ellipse’, used to gather fan feedback and help shape the final product. She calls these works in progress ‘Heapsongs’ and they are greatly anticipated by her fans who then give feedback via Twitter. The opening four tracks layout the various musical styles used on the album. Opener ‘You Know Where To Find Me’ is a typical densely layered piece with a classically influenced piano motif accompanied by multi-tracked and effected vocals, all perfectly placed in the arrangement. ‘Entanglement’ is a more straightforward electro track with 808 percussion and synth bass underpinning a beautiful vocal and lyric. As always however Heap throws in tonal surprises, in this case a string section which adds a sense of melancholy to the song. ‘The Listening Chair’ has Heap breaking out her well-known quirkiness. This starts as a vocal list of the things that help her “better sleep at night”. 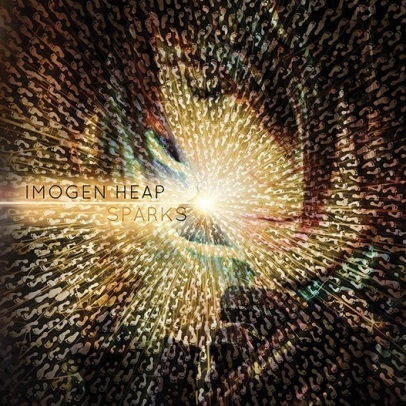 The breathtaking leaps taken in the song’s arrangement, from the top of happy to the depths of sadness at the end of a relationship, a theme that occurs over and over again in the album, highlights most why you should listen to IMOGEN HEAP and also why many listeners find her a challenge. Travelling the globe, in a Stewart Copeland style, during the writing has infused the instrumental tracks on the album with a world music flavour, best shown with fourth track ‘Cycle Song’, a thundering temple drum driven piece which in the electronic context of the album shouldn’t work. But like much of her work, it does due to the juxtaposition against the other tracks and also the listeners expectations from a pop album. 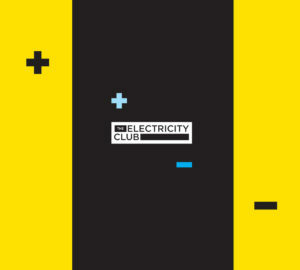 These tracks are used throughout as breaks from the more traditional songs and the expect the unexpected continues with ‘Telemiscommunications’ which first featured on collaborator’s DEADMAU5’s ‘> album title goes here <‘ from 2012. A heart melting electro-ballad, which has been reworked slightly for ‘Sparks’, it sits as well in this set as it was surprising in the Canadian house artist’s set. The album continues apace with ‘Lifeline’ and ‘Neglected Space’, the intro of which sees the influence of aforementioned LAURIE ANDERSON as Heap uses her voice, once again layered and effected, as the main instrumental thrust. This isn’t a lyric, it is a poem with a soundtrack which builds to the final question “Can We Discuss?”. As with every other track on ‘Sparks’ it demands repeated listening to allow a full discussion to take place. Minds Without Fear’ is an Indian influenced piece featuring vocals from superstar film music directors Vishal-Shekhar. A number of artists have tried to fuse east and west before with varying degrees of success, in this case Heap has clearly given her collaborators a free hand and it shows, this could easily come from one of their own productions and this give a sheen of authenticity lacking in many other’s attempts. As a lover of Indian film music and the likes of Vishal’s band PENTAGRAM, this is one of the highlights of the album. 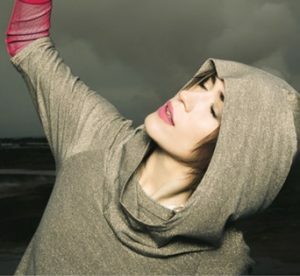 IMOGEN HEAP hasn’t just been working on music and travelling in the intervening half decade since ‘Ellipse’. 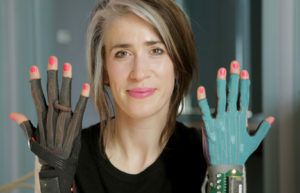 She has also been working with electronic engineers on a body suit that will allow her to control Abelton and turn her movements into a performance. This was first demonstrated two years ago at a Wired magazine event and is used to incredible effect on ‘Me The Machine’. ‘Run-Time’ is probably the most pop friendly track on the album and a successor to ‘Clear The Area’ from the stunning 2005 release ‘Speak For Yourself’, a benchmark in British electronic music. It once again features all the usual Heap care and attention to soundscape, vocals and arrangement. 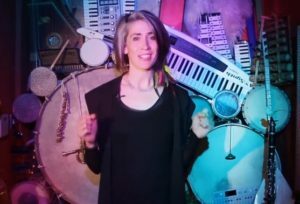 This is no ordinary pop song, yes you can dance to it, as Heap herself shows in the accompanying video, but once again its layers demand repeated visits. A further instrumental, ‘Climb To Sakteng’ and the dark menace of ‘The Beast’ bring us to the penultimate ‘Xizi She Knows’. Another travel influenced number, it gallops along throwing so many musical ideas at the listener it becomes almost a breathless exercise to keep up. The addition of a Chinese vocal further spins expectations out of orbit. Closer ‘Propeller Seeds’ pulls all the elements from the previous thirteen tracks together from electronica to just weird (random jazz lounge piano anyone?). 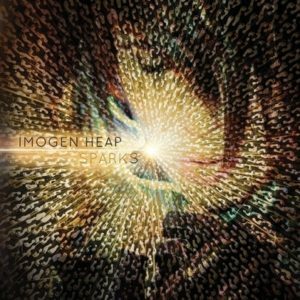 The two disc deluxe edition of the album is the one to get if contemplating purchasing ‘Sparks’, and honestly you should, as it highlights just how incredible Heap’s arrangements are. They stand as pieces on their own only given added dimension with the accompanying lyrics. At the end of ‘The Listening Chair’, Imogen asks “Who am I?”. On the strength this release, she is a singular talent that deserves more recognition.